The classic 1993 EP available for the first time in over 25 years! Featuring what is regarded as the most classic Queers lineup of Joe King, B-Face, Hugh O’Neill and Wimpy Rutherford on guest vocals. 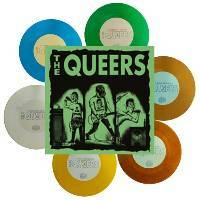 With a new color theme on the artwork and SIX new vinyl colors this release is brought back fresh. Download card included!